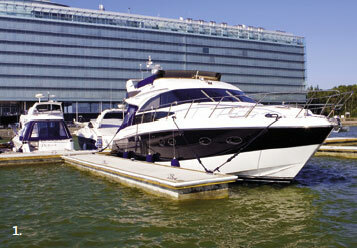 provide the strongest and most convenient mooring for large yachts. 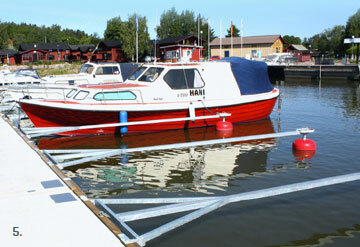 Being very stable, they offer safe and easy mooring, comfortable wide access and high load capacity. Concrete Fingers come in different length, widths and freeboards and share the same construction process as Marinetek’s Premier and Super Yacht Pontoons. have been designed according to Australian Standards and are very strong and stable, making them ideal for demanding solutions. 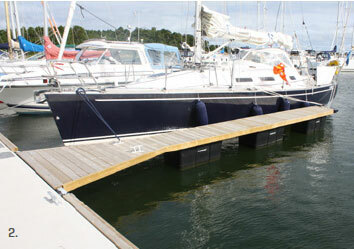 They have either a steel or aluminium frame and are fitted to the pontoon by rubber-bolt joints and adapters to match different pontoon types. 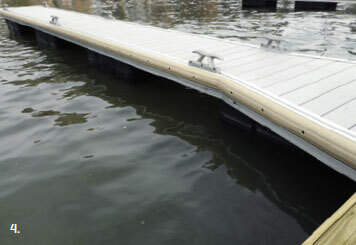 Standard lengths range from 6 to 18 m. Fingers are decked with either treated soft wood or wood plastic composite and have plastic fenders at the top edges. 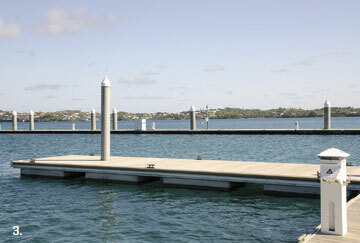 For aluminium Mooring Fingers we only use high strength marine grade aluminum alloy 6061-T6, extra strong extrusion with unique single or double track system for easy marina reconfigurations, all reinforced with easy access utility troughs on each side. Our unique aluminum system can also be combined with our unique hybrid technology replacing poly-floats with high stability concrete floats. are light in weight, have a single hot-dipped galvanised steel tube frame and are 4,5-8 m long. A decking option is available of treated soft wood or wood plastic composite. 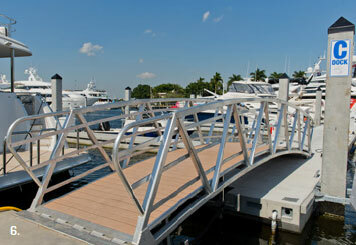 The booms are inexpensive and designed for easy, safe mooring of small boats in sheltered marinas. The plastic floats are filled and rotation moulded, and are offered in two different designs.